The reason that CHON’s Homey stands as one of the most intriguing albums of the year is because it managed to fully avoid any and all preconceptions that come with an instrumental rock album, navigating around the stony-faced progressive faffing to tap into a richer, brighter core. Add Intervals to the short list of acts who’ve also found favour through similar avenues too, now the solo project of Canadian guitarist Aaron Marshall which started out as a more traditional djent and tech-metal outfit with their 2014 debut A Voice Within. With its follow-up The Shape Of Colour a year later, Marshall had taken the project into more garish, explosive tones that was something of an oddity in progressive rock and metal, and really still is today. With The Way Forward then, Marshall has stuck even closer to CHON’s ruleset and embraced an even more warm and whimsical approach to a genre that’s frequently derided for its stony-faced, humourless presentation. But where CHON’s sound focuses on more relaxed and vibrant tones, Intervals keep a heavier framework intact here, and The Way Forward is a more forceful album because of it. That’s not to say this is an overly heavy album, but with the hammering spikes of guitar that smash through the surface of Touch And Go, or the fizzier guitar tone on Rubicon Artist that’s almost like the audio representation of an electrical current, there’s a sense of kinetic energy all across The Way Forward that’s definitely propulsive and engaging. But like with a lot of instrumental music, especially the type that tries to occupy that wilder, more engaging headspace, Intervals’ musicality fully overwhelms any sense of casual stickiness. Marshall as a guitarist shows off his craft impeccably here, but what this ultimately boils down to is a whole load of fantastic talent without a similar grasp on structure to make it shine even more. Compared to others, Intervals are a lot better at this thanks to a pop sensibility that’s never played down, which can lead to the squealing instrumental hook on Belvedere that’s easily the most memorable track here, but where that embrace of poppier tones could have streamlined the process somewhat – and to an extent, it has – it still feels like a half-measure compared to everything else. Then again, The Way Forward is still a progressive album at its core, and on that side of things, this is undoubtedly a success. Marshall has a knack for layering his compositions as intricately as possible, and with the razor-thin guitar that gives the likes of A Different Light and The Waterfront such an edge, there’s not an ounce of fat on this entire album. Even in its most subliminal layers, The Way Forward has plenty in the way of sounds and melodies to pick apart that do benefit the album as a whole; it’s tightly packed and requires a lot of intense digging and concentration to really take in it all, but this is a supremely satisfying listen at the end. Even if this isn’t an album for everyone (which can be essentially guaranteed considering the sheer density of the content here), there’s little to deny in how technically dazzling Marshall’s efforts are, and the clear amount of time and care that’s gone into it. CHON’s album may still be able to surpass it in terms of crossover potential and appeal, but The Way Forward makes a solid stab at it, one where the results don’t always stick on a more superficial level, but never feel anything less that fascinating to delve into. 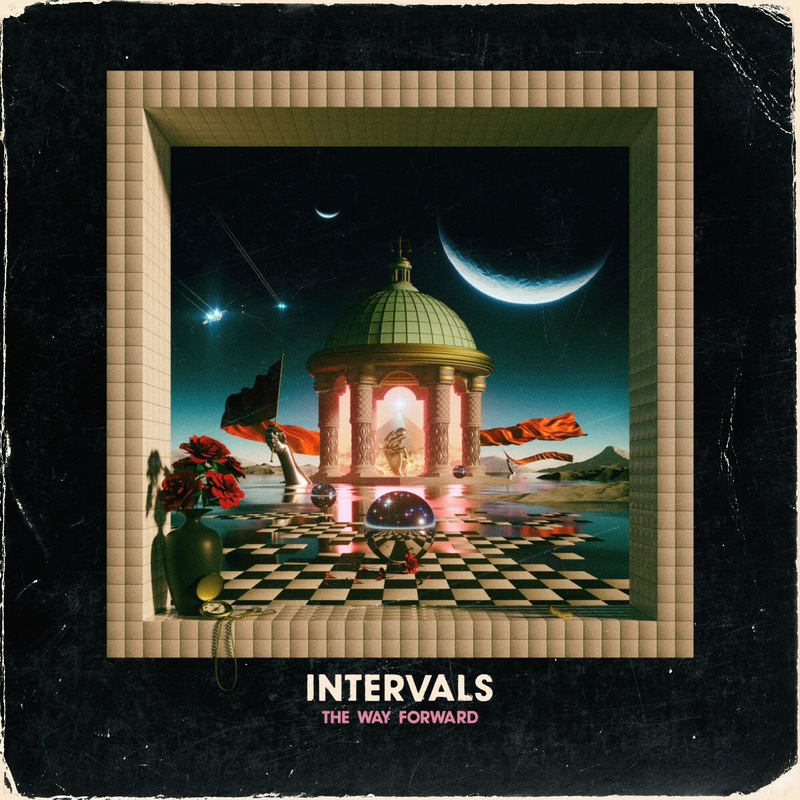 ‘The Way Forward’ by Intervals is released on 1st December on Intervals Music.